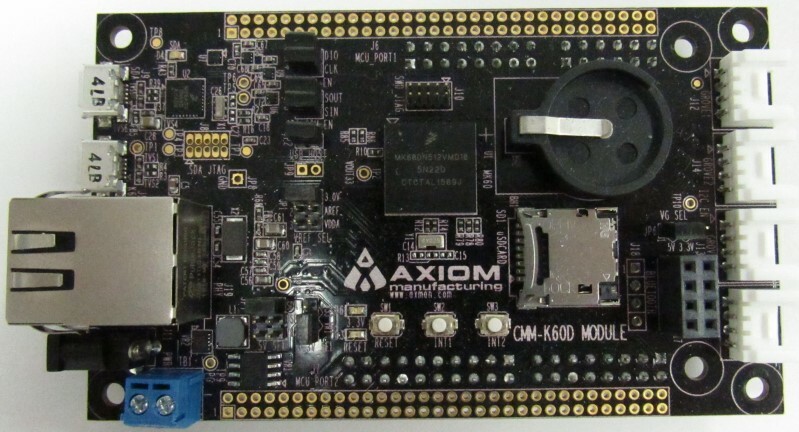 The CMM-K60D-OEM is an industrial rated module featuring the MK60DN512VMD microcontroller. This small form factor (2.36” / 60mm x 3.94” / 100mm) board is ideal for low cost evaluation, development, and industrial OEM embedded application where higher signal counts and features are suitable. 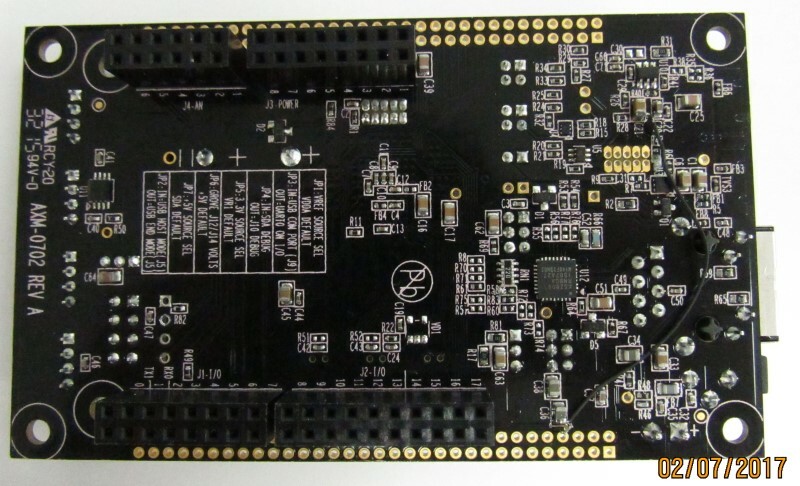 Quickly build your prototype without soldering by adding standard Grove Modules for sound, display, input, communications, etc. using the supplied on-board grove connectors. Even more hardware modules can be added quickly using the fully compatible Arduino Shield connector on the back of the board. Grove I2C (2), AN, and I/O connectors. Power Input: 1.3mm DC plug, Term Block, Stack, +4.75V to +28VDC. Board Size: 2.36W x 3.94L x 0.6 H Inches, 0.1” (2.5mm) Mounting holes 2.0 x 3.75”. Including FREE Compiler/Debugger/IDE and many example applications!